The AIRAID 200-207 fits some Cadillac Escalade, Chevrolet C1500, Chevrolet C1500 Suburban, Chevrolet C2500, Chevrolet C2500 Suburban, Chevrolet C3500, Chevrolet K1500, Chevrolet K1500 Suburban, Chevrolet K2500, Chevrolet K2500 Suburban, Chevrolet K3500, Chevrolet Silverado 1500, Chevrolet Tahoe, GMC C1500, GMC C1500 Suburban, GMC C2500, GMC C2500 Suburban, GMC C3500, GMC K1500, GMC K1500 Suburban, GMC K2500, GMC K2500 Suburban, GMC K3500, GMC Sierra 1500, GMC Yukon, GMC Yukon Denali, and Isuzu Hombre models. See vehicle applications for details. Great product, have used in several of my vehicles and have always noticed increases in MPG and a slight difference in acceleration. 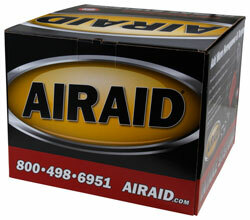 I will definitely use AIRAID products in all my vehicles.